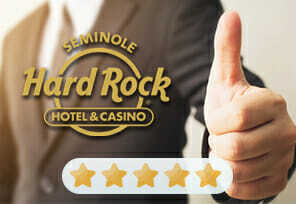 Casino Gaming Executive Satisfaction Survey results for 2018 are in and, in competition formed by 34 casino operators and companies, Seminole Hard Rock has taken the title of Employer of Choice, which is this establishment’s fourth accolade in a row! …24.83% of respondents included Seminole Hard Rock among their top three employers in the gaming industry. Not only did the company manage to snap up this award for the fourth consecutive time, they even got 5% more votes than in 2017. 1,363 participants were asked to take part in an online survey, which is a fair increase from a little over 1,000 respondents a year prior. This was the eighteenth Annual Casino Gaming Executive Survey. …and to further bolster that claim, they remind that Hard Rock was also named among America’s Best Employers and America’s Best Employers for Women by Forbes Magazine. 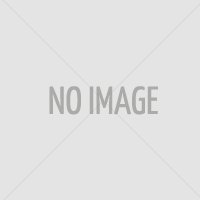 …were CEO and Chairman, Jim Allen, and Managing Director of Spectrum Group, Michael Pollock. …that are “diverse in terms of geography, executive responsibilities, years of experience and other meaningful criteria.” Before the participants are selected, the designers of the survey need to ensure that they have worked in the casino industry and that they are only surveyed once. …which means that when the transaction is closed, the joint project with VICI Properties will be renamed to Hard Rock Casino Cincinnati. With another property due to open this fall – Hard Rock Hotel and Casino Sacramento – this is shaping up to be one very busy year for the company. “Seminole Hard Rock Named Top “Employer of Choice” in Gaming Industry for Fourth Year in a Row”, George Miller, europeangaming.eu, April 10, 2019.